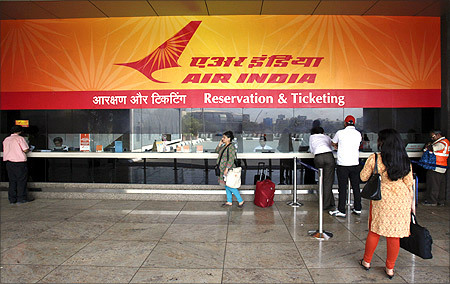 Agitating Air India pilots said on Tuesday they would consult their lawyers before they called off their almost two-month-long strike, soon after the Delhi High Court asked them and airline management to arrive at a settlement. "The court has made very positive observations. "It has said that all pilots should be taken back and no distinction should be made between those sacked and others. We are happy with the court's observations," Tauseef Mukadam, Joint Secretary of the Indian Pilots' Guild, which has been spearheading the strike, said on phone from Mumbai. "We will decide on calling off the strike after consulting our lawyers and receiving a copy of the high court order," he said. 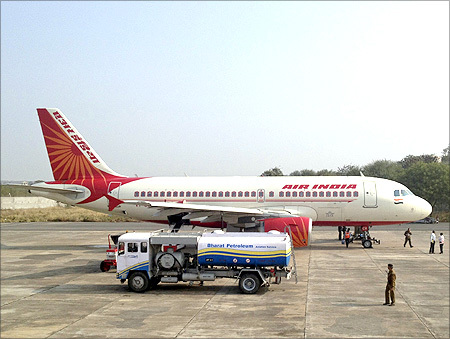 Image: A Bharat Petroleum refuelling vehicle sits on the tarmac next to an Air India A320 aircraft. Some other IPG leaders said the court also told the management that all Air India aircraft should fly and all pilots should be allowed to join duty. They said the high court has asked all the striking pilots to file affidavits expressing their willingness to resume duty within 48 hours and directed both sides to appear for conciliation proceedings before the Chief Labour Commissioner on July 6. The report of the conciliation proceedings has to be tabled before the High Court on July nine, the IPG leaders said. Over 400 cockpit crew went on a strike on May 7 on issues relating to career progression after their talks with Air India management and Civil Aviation Ministry officials failed. The pilots have also launched an indefinite hunger strike in Delhi and Mumbai since June 24. 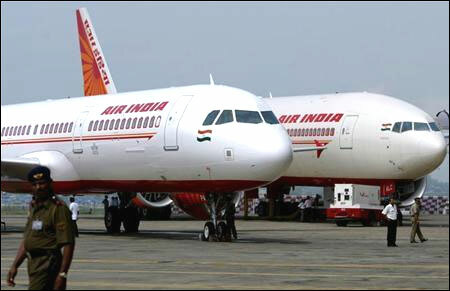 Air India's revenue loss due to the strike is estimated to have gone up to Rs 600 crore (Rs 6 billion). It has also forced the airline to operate a curtailed international flight schedule days after the stir began. 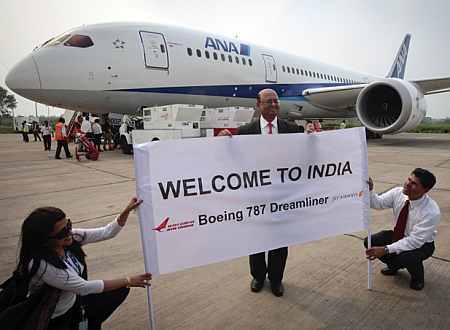 Image: The president of Boeing India poses in front of the Boeing 787 Dreamliner. Justice Khetrapal, who also sought a report from the conciliating officer by July 9, was hearing an application of the agitating pilots' union, which had alleged that the Air India management created a 'hostile environment' by sacking the striking pilots and also derecognising it. On Monday, the court asked the pilots as well as the management to amicably settle the dispute out of court. Appearing for the management, counsel Lalit Bhasin told the court on Tuesday that it should not entertain the pilots' plea as they are in contempt. "They are in complete disobedience of the court's orders for the last two months and they need to call off the strike first before talking to the management regarding their demands. "Let the counsel for the pilots make a statement before this court that they are ready to call off the strike on Tuesday. They should not make any pre-condition to call off the strike. First they should obey the court's order and then talk to the management," Bhasin said. The pilots' counsel, submitted that the management has treated the pilots in two categories -- those pilots whose services have been terminated and those pilots who are in service but are also part of the strike. She sought the court's directions to the management to treat all 434 agitating pilots, including those who were sacked, as one entity and to reinstate the ones who were terminated. Justice Khetrapal asked the management to hold an informal talk with the pilots to resolve the issue. "My concern is the issue should be resolved at the earliest. Nobody should suffer, neither the pilots nor the airlines. The pilots are not 'gundas' or criminal element. You consider their grievance after talking to them," Justice Khetrapal said.